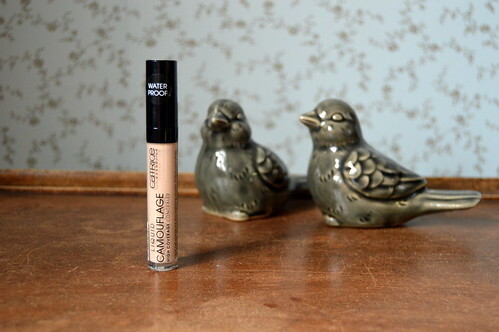 I had been using the Bourjois Radiance Reveal Concealer of which I made a review some time ago. 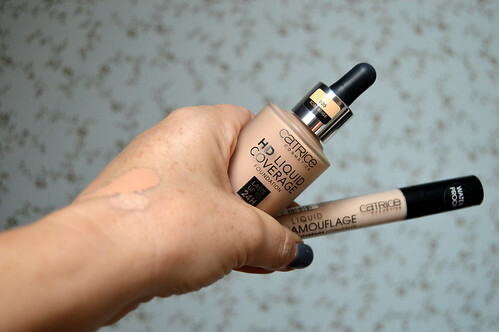 As I finished that concealer and this one from Catrice came in a promotion package together with the HD Liquid Coverage (see last week’s review! ), I decided to try it out. I was happy with my Bourjois concealer, until the little bottle was nearly finished. It was impossible to empty it completely. The little brush simply couldn’t reach the entire bottle. I threw it out but there was still quite some product left in the bottle… now that’s a bit of shame, don’t you think?! This concealer has a more handy package. It’s a long tube with a long applicator in it which has a little sponge to apply the concealer. I always put some concealer under my eyes, on any spots I might have and also a bit under my nostrils. I also follow the line between my nostrils and the end of my lips. I blend the concealer in with my fingertips. Any excess concealer, I put on the inner sides of my eyes (next to my nose bridge), and also on my nose itself. I use the concealer first and then blend some foundation over it using a brush. A couple of weeks I did this make-up of the day post and you can see me wearing the concealer (see here). The concealer gives good coverage. The price definitely is a pro! I actually got it for free as it came in a promotion package together with the HD liquid coverage. Normally you’d pay 3,59 EUR so that’s very cheap! Lasts the entire day. I have re-applied the concealer a couple of times, on days where I had to go out at night. I could blend it in easily then, even when I already had put on make-up and powder earlier that day. Doesn’t sit in any creases (big pro for the aging skin!). The package is handy: with this brush I will be able to empty the package completely! Comes in only two shades so some of you may not find the right colour for their complexion. I think this concealer might be less suitable for drier skins. 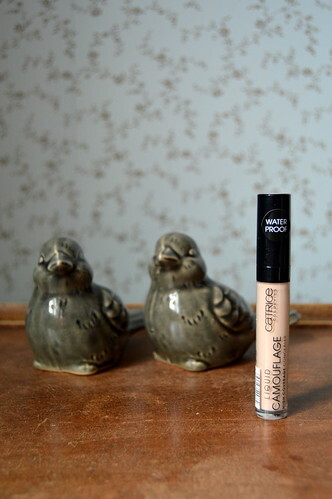 This is a good, no-nonsense budget concealer which I can certainly recommend for people with normal skin! Here you can read about Catrice eyeshadow palettes. This entry was posted in Beauty, Make-up and tagged beauty, beautyblog, catrice, concealer, make-up, skincare. Today’s quote: ‘all I want for Christmas’… are some cheerful Christmas songs! I wanted to buy it again but it was sold out in my shade, so I bought the 24h concealer from maybelline and that is less dry, so perhaps better for a 40+ skin 🙂 I will do a review later, but I want to try it out longer. Cheers!